Your search for homes for sale in Somers NY just got a lot easier. The Westchester County town of Somers in New York, has virtually everything on your list for a great place to settle without having the hassle or the price, of living in the city. Get access to all of Hire Realty LLC's Advanced Search features! Register Now. get a private showing of somers homes and properties. Call Hire Realty LLC at 914-598-2386 today and we will make the arrangements. Get a private showing of homes and properties in Somers NY. Both the prices and styles of Somers real estate vary enough to offer anyone a chance to live or do business in this community. 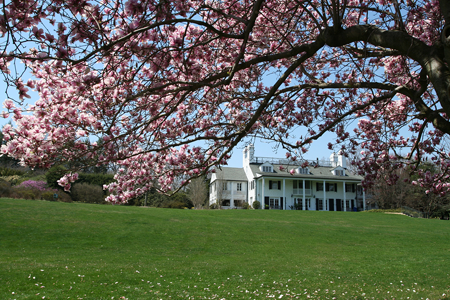 Though it contains no villages, the town of Somers, NY encompasses the CDPs (census designated places) of popular Heritage Hills, as well as Lincolndale and Shenorock. Its good range of architecural styles, types, and prices offers a little something for every type of buyer. Besides the CDPs, you might also find homes for sale in the communities of Baldwin Place, Amawalk and Granite Springs as well. From small fixer uppers, providing a great way to get your foot in the popular Somers real estate market for less than $200,000, to country estates in or out of town, we know we will be able to quickly find the right home for you. There are also often great opportunities for investors in the commercial real estate for sale in Somers. The residential sector offers many opportunities to find single family homes for sale in Somers, starting with custom and estate homes from about $800,000 up to $2.25 million in a variety of styles and ages. From the early 20th century onward, homes typically sit on beautiful settings with sweeping grounds, some with pool, private gardens and entertaining patio. Find your architectural style - many Somers homes are French Country, Arts & Crafts, or Center Hall Colonial - and that’s just the tip of the iceberg! These spacious homes tend to have 3-6 bedrooms and as many baths, spanning from just under 3,000 square feet to a whopping 7,400 feet of luxury living. Many of these homes have multiple levels so there is plenty of space to spread out, and they often feature lots of flexible space to customize for exercise studio, playroom, office or den. You will often find updated kitchens with granite and stainless steel appliances, multiple fireplaces, gorgeous foyers, and custom millwork and finishes. Homes from about $200,000 or possibly even less, allow the opportunity to get a foot in the door in the Somers real estate market. There is a wide variety of home sizes, styles and ages in this residential category. Some need a little TLC, but would be perfect for first-time buyers or investors. At the upper end of this price level, you’ll find 1- and 2-story homes, some with basement, in all sorts of settings – country, quiet streets, and subdivisions. For the most part, the landscaping is established and an attached garage is common; many homes feature outdoor living areas like deck or patio. Interior features are varied but may include new paint and flooring, walk-in closet, high ceilings, laundry room, formal rooms, and updated kitchens with stainless and granite. You really must come see for yourself! For the condo lover, there is also a nice selection of condos for sale in Somers NY. Heritage Hills is a very popular community of 2,600 condominiums and detached homes in Somers. Homes have sold for anywhere from $250,000 to $875,000 or more, and though it varies of coursee, typically have a median selling price of just over $400,000. With 53 home models to choose from, you’ll find units that range from 1-3 bedrooms and 2-3 baths, spanning 1,000 to 1,900 square feet. Community amenities in Heritage Hills include 24-hour security, shuttle service, pools, multiple sports courts, clubhouse, trails, garden plots, and gazebo. Finally, there are typically various lots and land for sale in Somers. Beginning at $39,000 up through $450,000, lot sizes vary from .32 acres to over 11 acres, some with water and wooded views and surroundings.